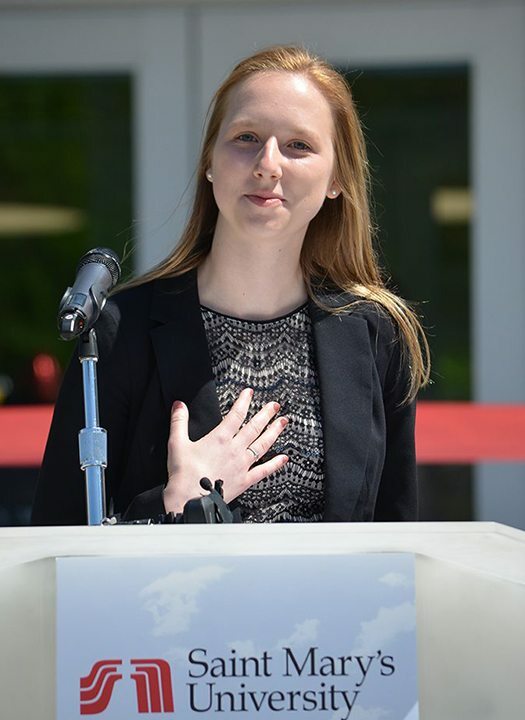 Saint Mary’s University junior biology major Bailey O’Hare joked that she’d make her speech short May 12 during the dedication ceremony for the new Science and Learning Center on the Winona Campus. “Because I, like you, can’t wait to get inside,” she told the crowd of more than 400 people at the Winona Campus celebration. The completion of the $19.7 million project was the culmination of a long-time dream of the university. 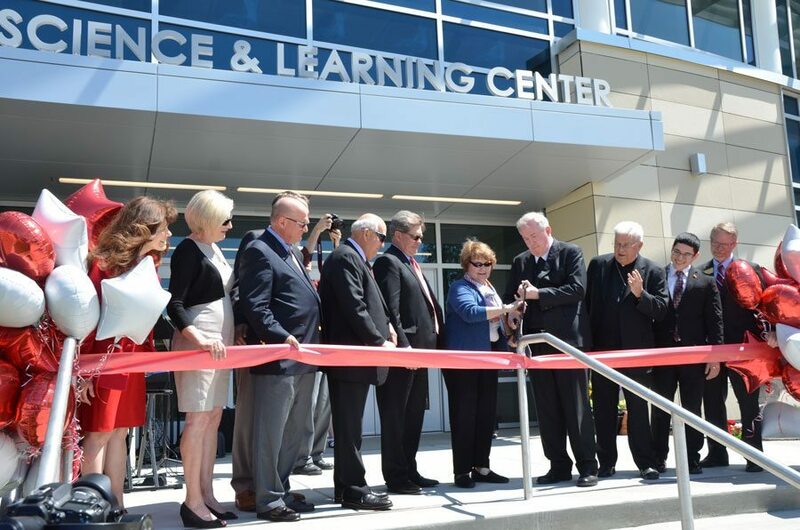 But the day wasn’t just about celebrating a 50,000-square-foot building; it was also about recognizing the innovative programming and enhanced learning that will soon take place inside. Dr. Todd Reinhart, dean of the Sciences and Health Professions, said the building’s facilities will be put to use May 29 as 20 undergraduate students attend a two-week Advancing Regenerative Medicine workshop. These are the types of initiatives that O’Hare said are further fueling her passion for sciences. Audrey Kintzi, vice president for Development and Alumni Relations, announced that—through the generosity of benefactors—$19.4 of the building’s $19.7 million cost has already been raised. Brother William said the music title he’d give to the dedication day was, appropriately, Beethoven’s Ode to Joy.